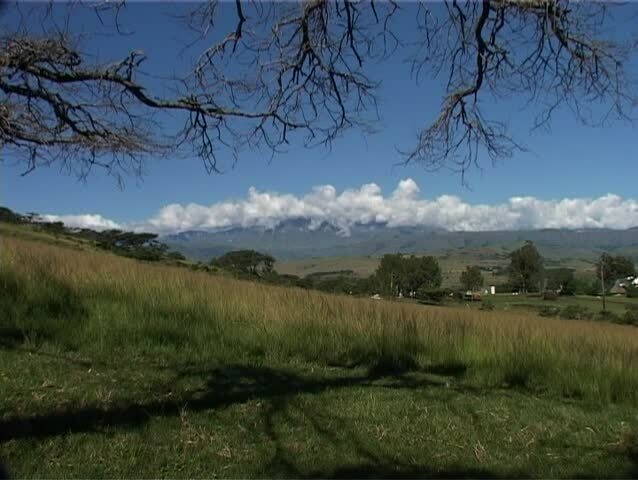 Shot of the uKhahlamba/Drakensberg ("Barrier of Spears" in Zulu and "Dragon Mountains" in Dutch) under an Acacia Tree canopy. hd00:11Meadow in eastern Europe, clouds moving in the sky. Full HD HDR time lapse footage. Beauty of European landscape. hd00:25One man and his dog walking towards the camera. Umbria, Italy. 2011. 4k00:05Mountains in the fog - landscape.